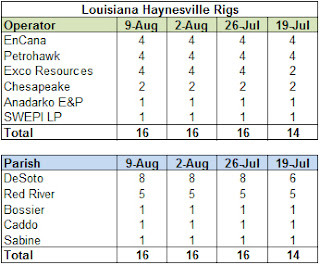 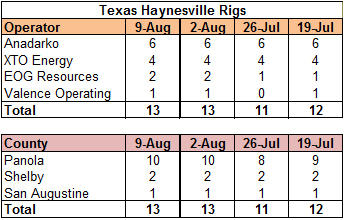 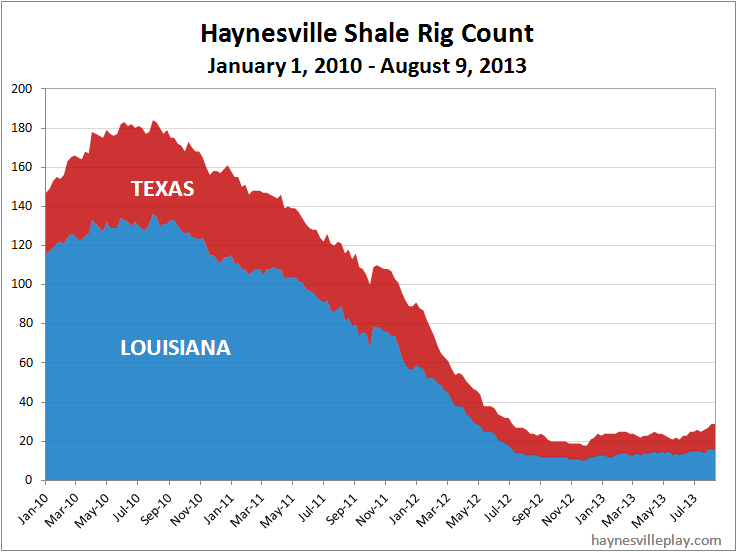 The Haynesville Shale rig count was unchanged this week at 29. Boooorrring! Louisiana held at 16 as did Texas at 13.